The Royal Naval Air Service (RNAS) created the first British armoured car squadron in September 1914, requisitioning all Rolls-Royce Silver Ghost chassis for the new vehicle. The design had a fully armoured body with a rotating turret, mounting a single water-cooled Vickers 0.303″ machine gun. The first vehicles were delivered in December 1914, but by then the Western Front had moved to trench warfare, which armoured cars were ill-suited for. The RNAS formed six armoured car squadrons, each having twelve vehicles. Initially, one went to France and one to Africa to fight in the German colonies. Later, two squadrons were sent to Gallipoli. In August 1915 the RNAS squadrons were disbanded, and the material handed over to the army. The squadron in France was moved to Egypt, where the conditions were more suitable. T.E. 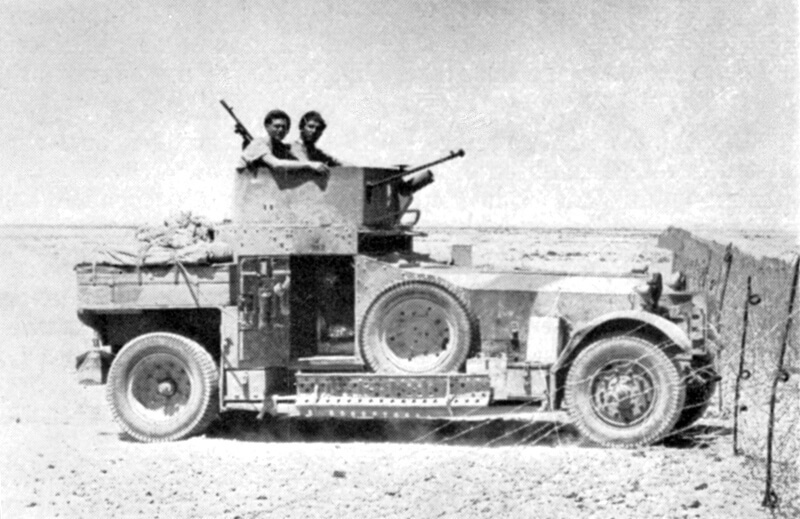 Lawrence (more famously known as “Lawrence of Arabia”) used a squadron of nine armoured cars in his campaign against the Turks, and rated them highly, saying that they were “more valuable than rubies”. Thirteen vehicles were given to the Irish Free State by the British government for use against the Irish Republican Army during the Irish Civil War. They were found to be very useful for convoy protection, and were used in the retaking of Waterford and Cork. 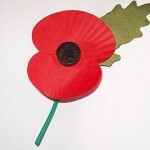 They remained in service with the Irish army until 1944. The armoured cars were modernised in 1920 and 1924, and in 1940, some vehicles had the turret replaced with an open-topped turret, mounting a Boys anti-tank rifle, Bren machine gun and smoke grenade launchers. 76 vehicles were in service with the British army when World War II broke out. They saw service in the Western Desert, Iraq, and Syria, but had been replaced by newer vehicles by the end of 1941.